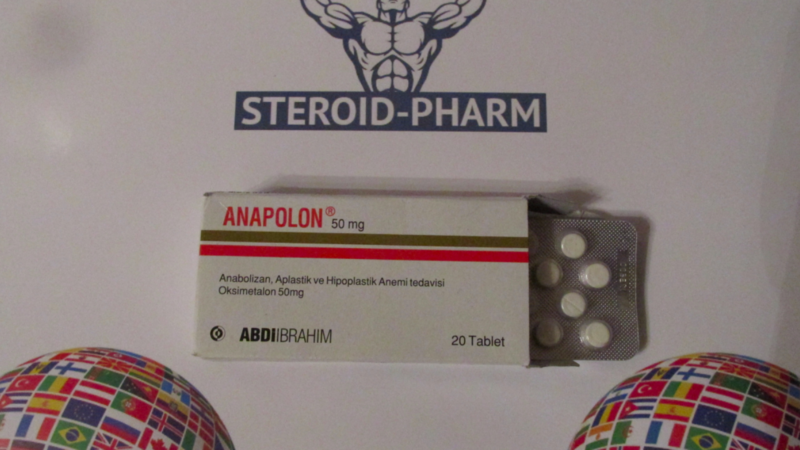 Nowadays Anapolon is one of the most effective anabolic drugs available at the modern market. It is an oral steroid which is based on oxymetalone, which is known for its strongest anabolic properties. The distinctive feature of the drug is a combination of its strongest androgenic and anabolic features. 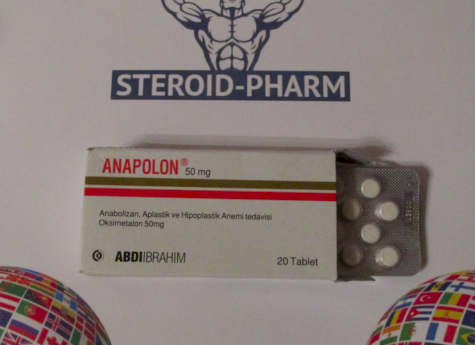 Steroid Anapolon 50 makes it possible to achieve huge increases in muscle mass and strength in a very short time period. In just two weeks of taking these pills you can achieve weight gain from 5 to 7 kg. This steroid causes a significant increase the volume of red blood cells (erythrocytes) in the blood and increase the flow of oxygen to the muscles during training. Taking Anapolon increases the endurance of muscles in several times. The athlete taking Anapolon does not feel tired even during the very intensive training. In addition to this, the drug provides a quick effect of "pumping" the muscles of a certain group and after a minimal number of trainings, the muscles are so clogged that the athletes go on to train other muscle groups. The peculiarity of this steroid also lies in its ability to provide high bodily regeneration, so "overtraining" of athletes who are taking this drug is absolutely excluded. Current drug leaves the athlete feeling that he is full of energy and strength even after a heavy workout. This drug does not provide a qualitative increase of muscle mass, because the body accumulates fluid. Anapolon 50 is a good possibility of a quantitative muscle growth, which is necessary for athletes during the off-season. It is also worth noting that the price for Anapolon does not exceed the average cost of steroids, and at the same time the drug perfectly preserves muscle mass even under conditions of a limited diet. Among the huge number of oral steroids, Anapolon is considered to be one of the most dangerous drugs. Such “dangerous” popularity it received because of its toxicity to the liver, so when it is taken, athletes have to monitor the liver in order to avoid its possible damages. There is also an opinion that the long-term use of Anapolon 50 can cause a cancer of the blood and liver. Sometimes, among negative effects of this steroid is jaundice, which passes after the discontinuation of the drug. Quite common side effect is indigestion, frequent nausea and vomiting. Libido is also affected by the steroid. Initially it rises sharply and then goes to a decline. The optimal dosage of this steroid is 1-2 tablets per day (50-100 mg). Professional athletes can take the maximum dose which is equal to 3 tablets daily (150 mg). The best time to use tablets is while eating. If the athlete uses two tablets daily, it should be done at the morning and in the evening. The general course of Anapolon should be from 6 to 9 weeks. Taking a steroid for a longer period of time can negatively affects the health condition of the athlete. But despite all possible side effects mentioned above it should be noted that the reasonable use of Anapolon always lead to the solid and noticeable sports results. This anabolic and androgen can be combined with the nandrolone decanoate for achieving the more effective muscle building. Taking of Anapolon 50 is also recommended for athletes suffering from joint diseases, as it accumulates water not only in the muscles, but also contributes to the increase in the amount of natural lubricant coming to the joints.